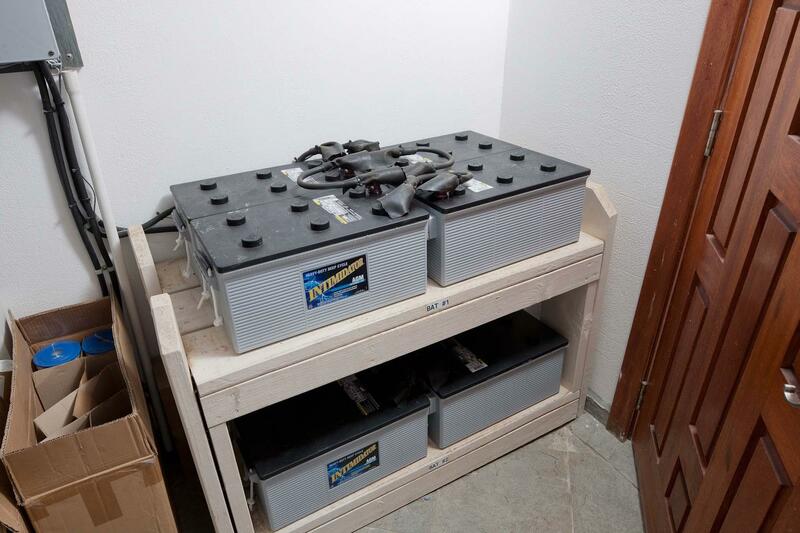 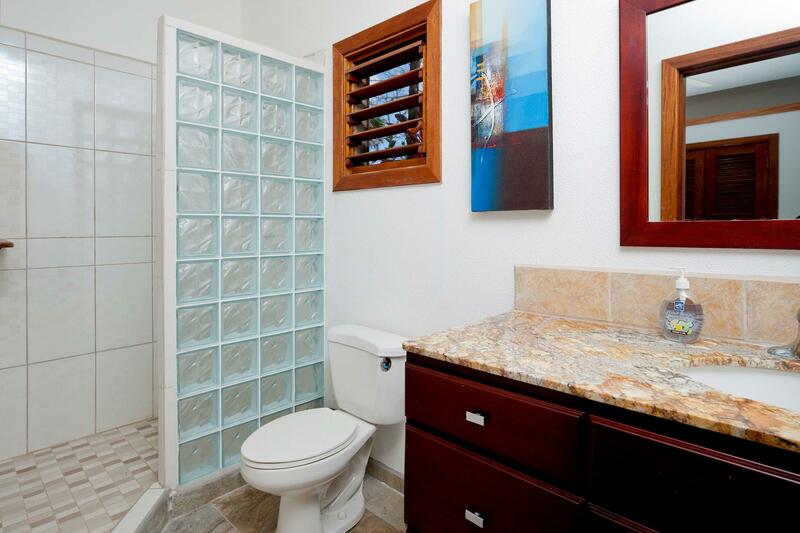 2 bedroom, 2.5 bath upper home with self-contained 2 bedroom, 2.5 bath apartment on the ground level. 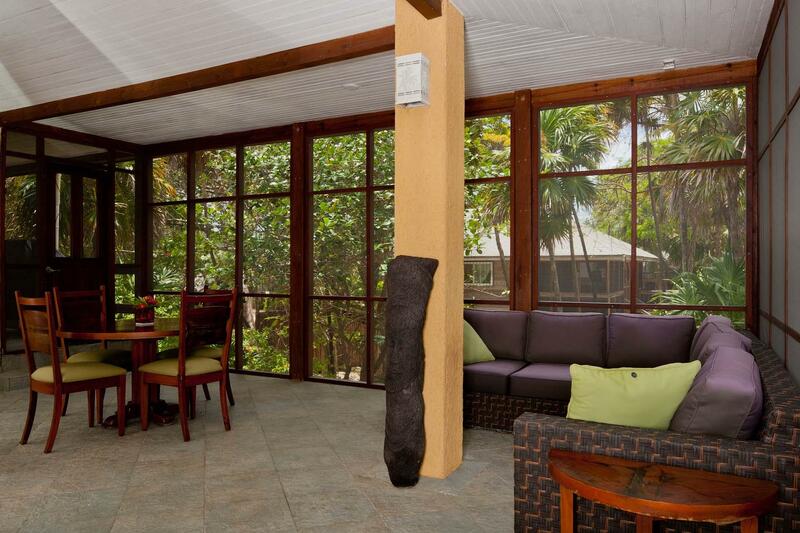 The home features a large wrap around deck with lots of screened areas combining outdoor and indoor living spaces. 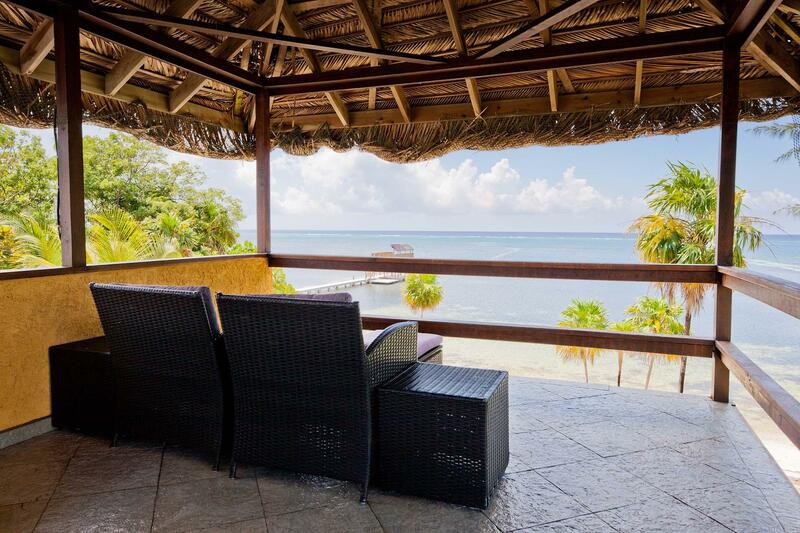 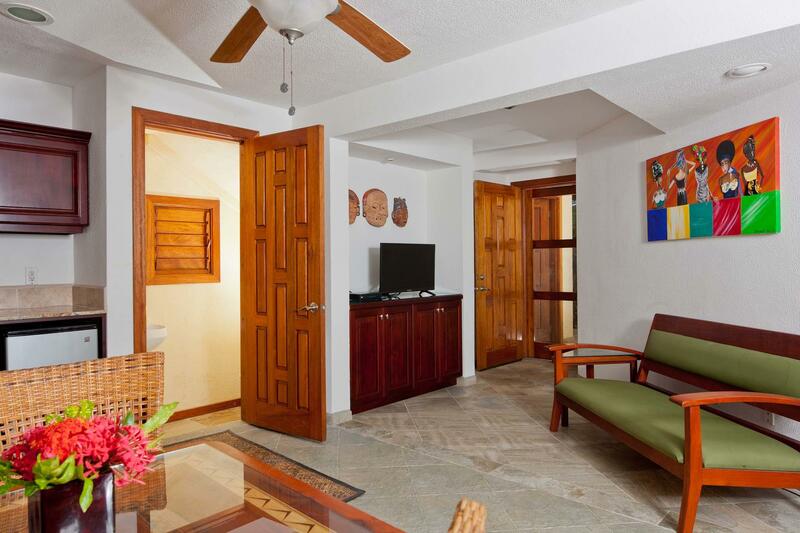 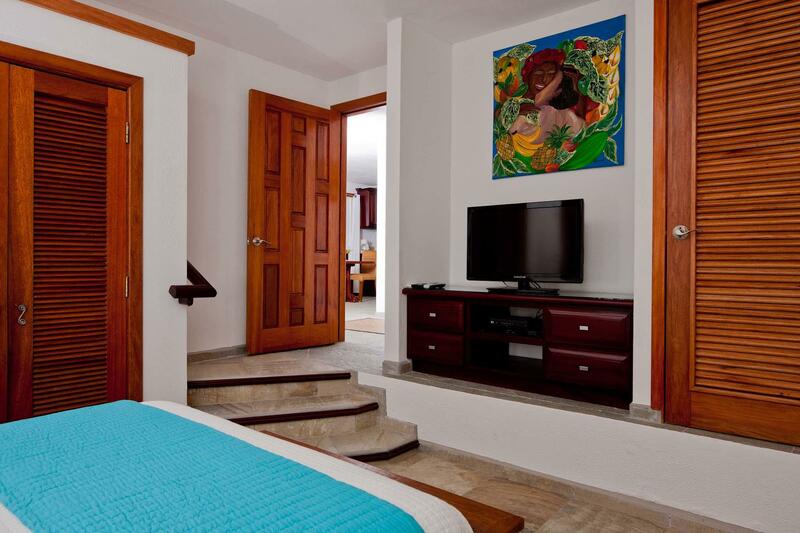 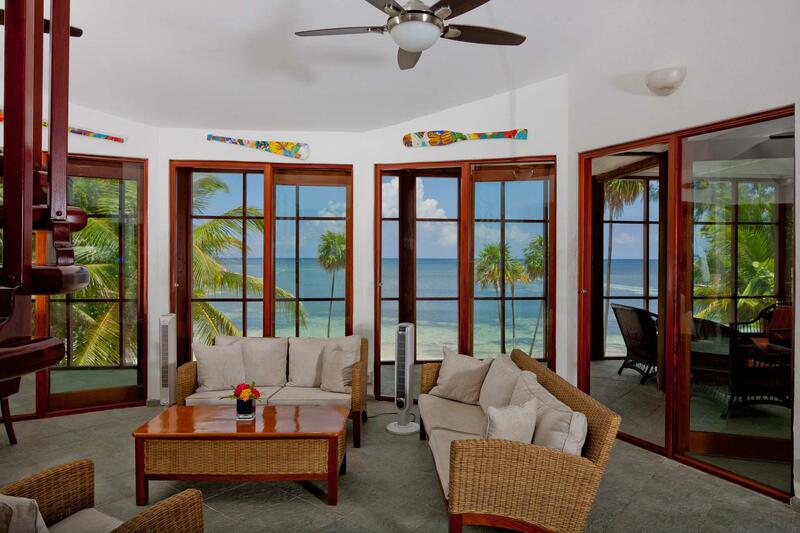 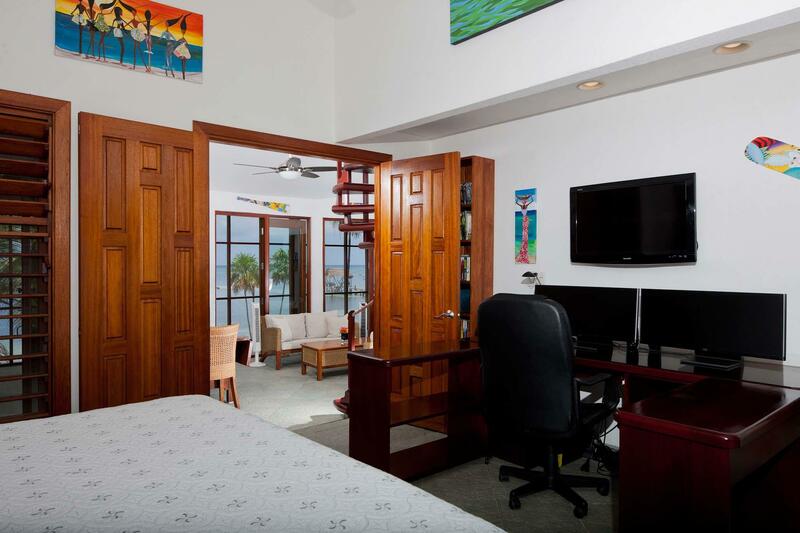 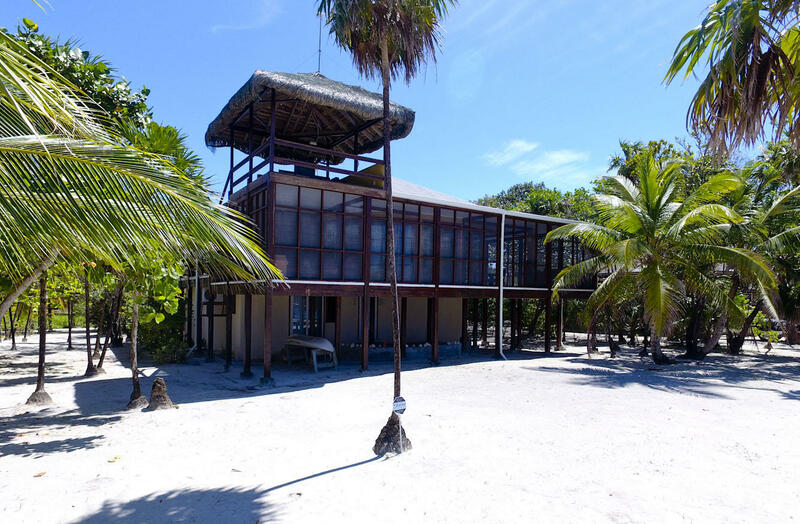 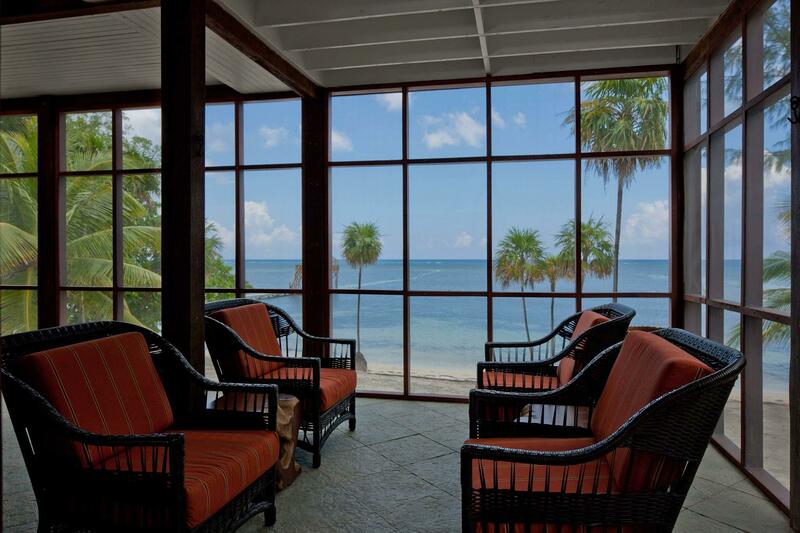 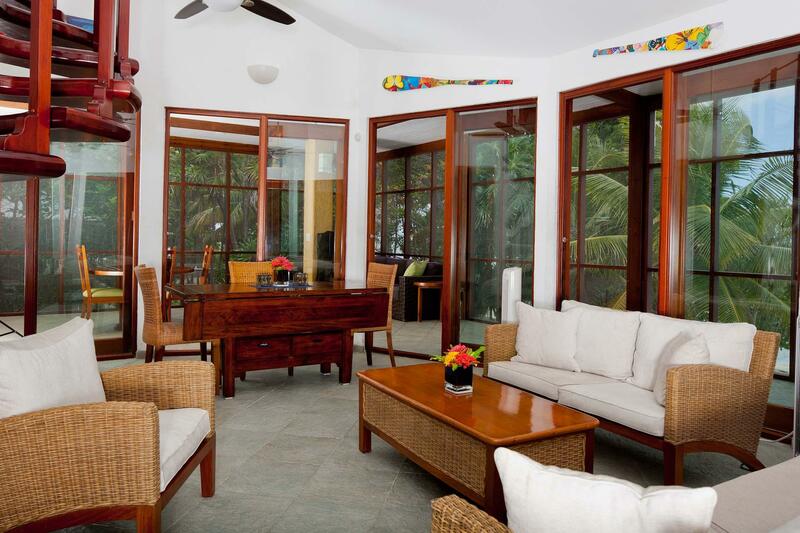 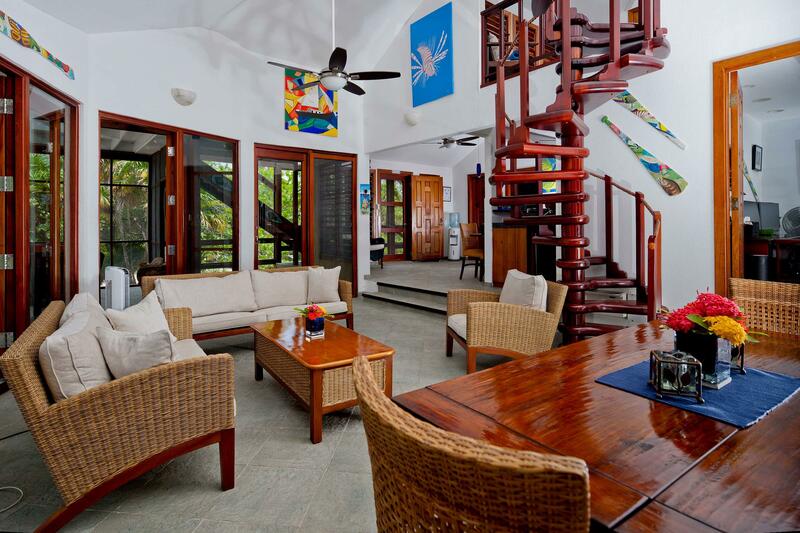 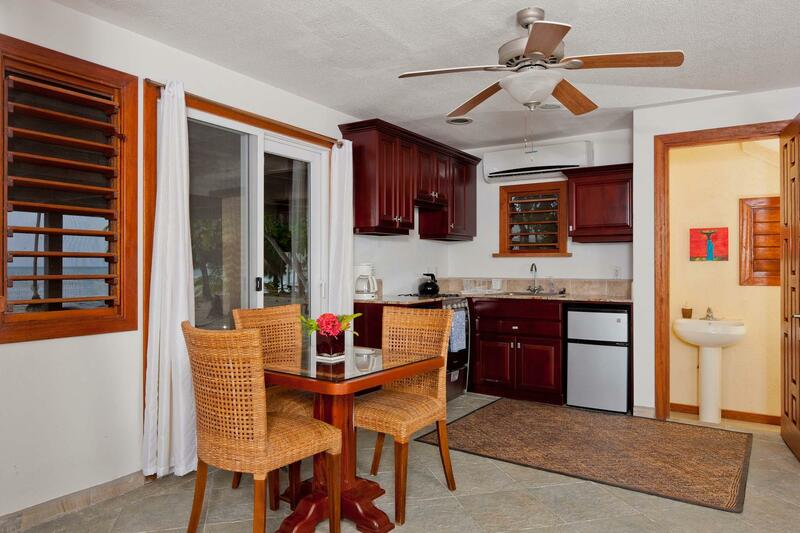 The living room is surrounded by 7 glass doors and shares the view of the turquoise waters and white sand beach. 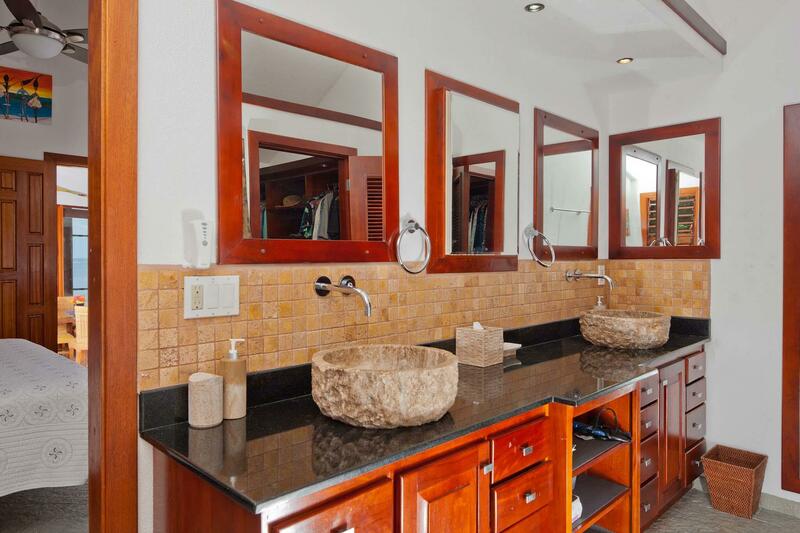 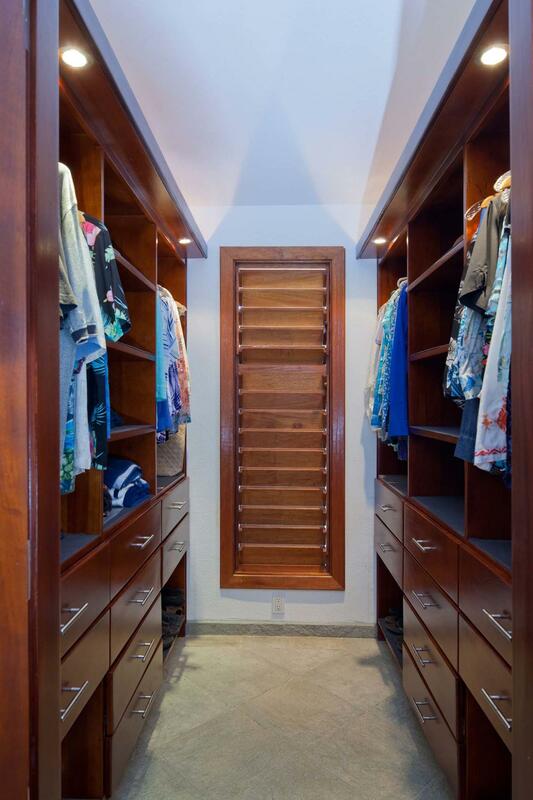 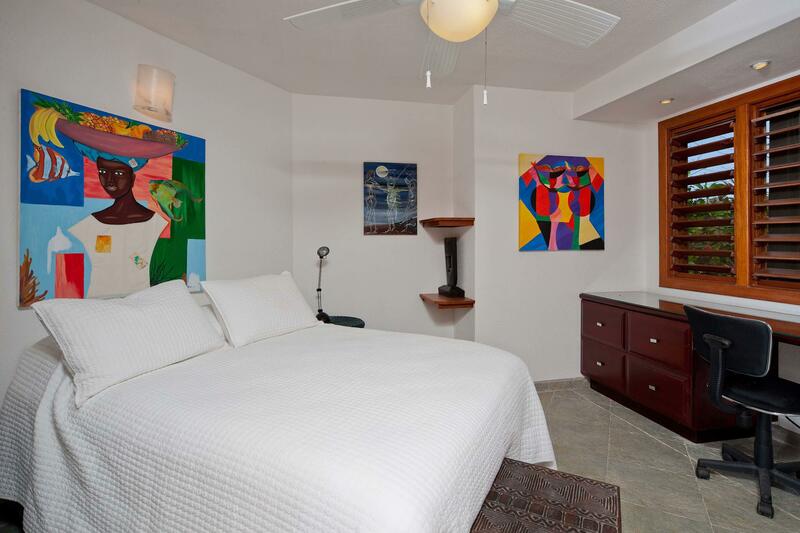 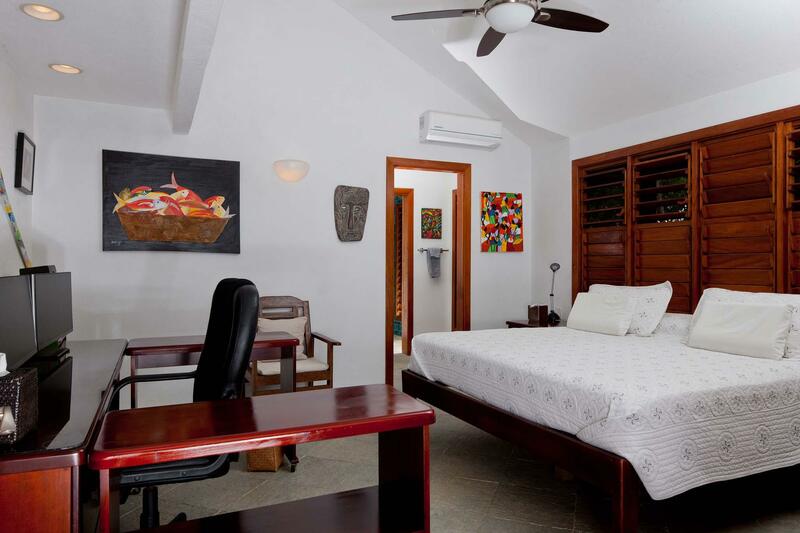 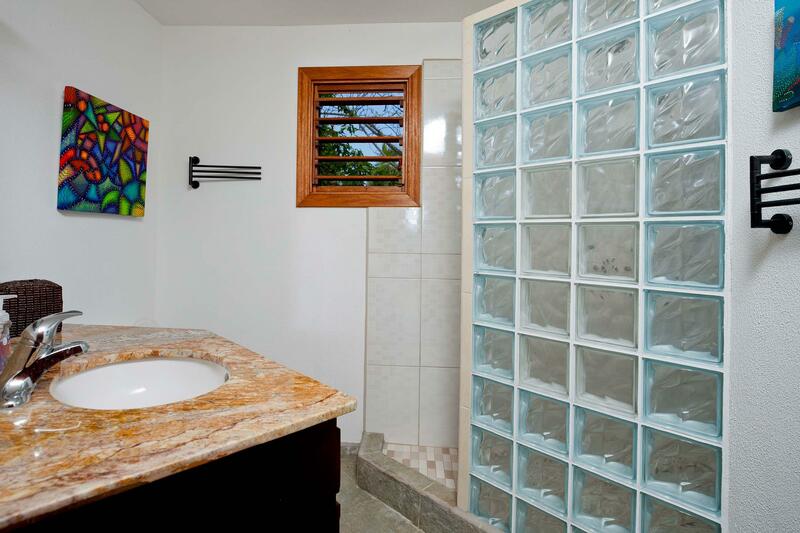 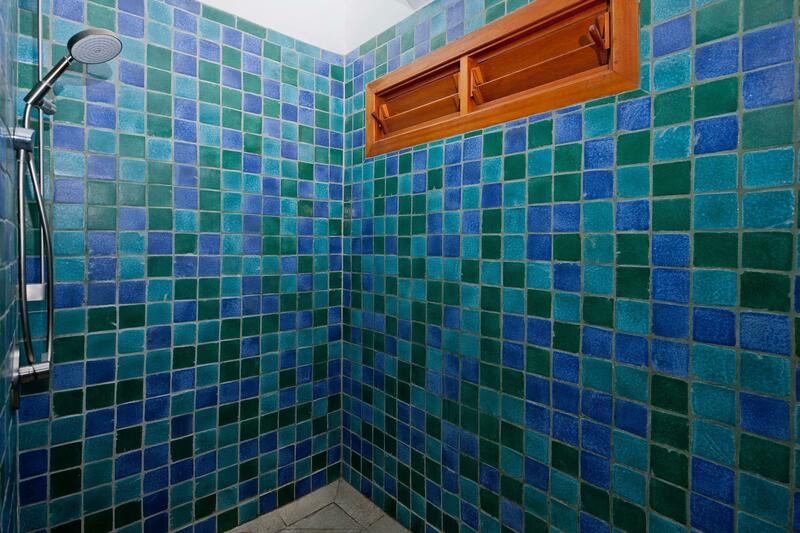 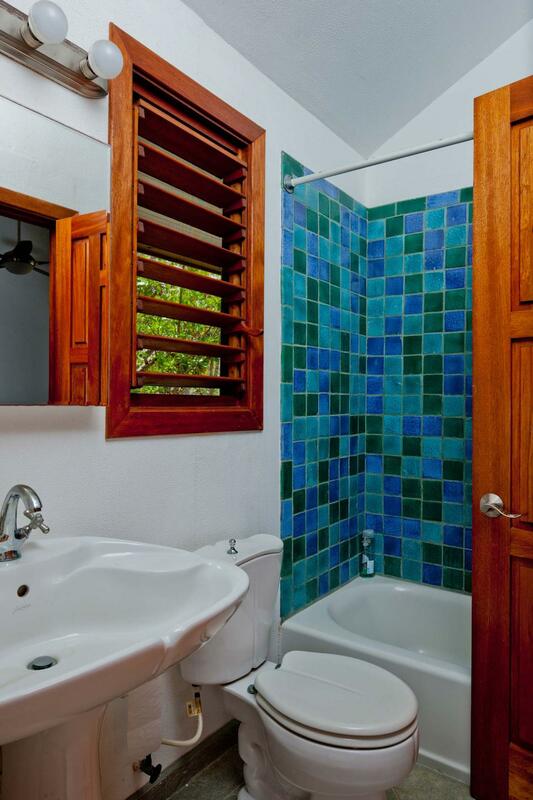 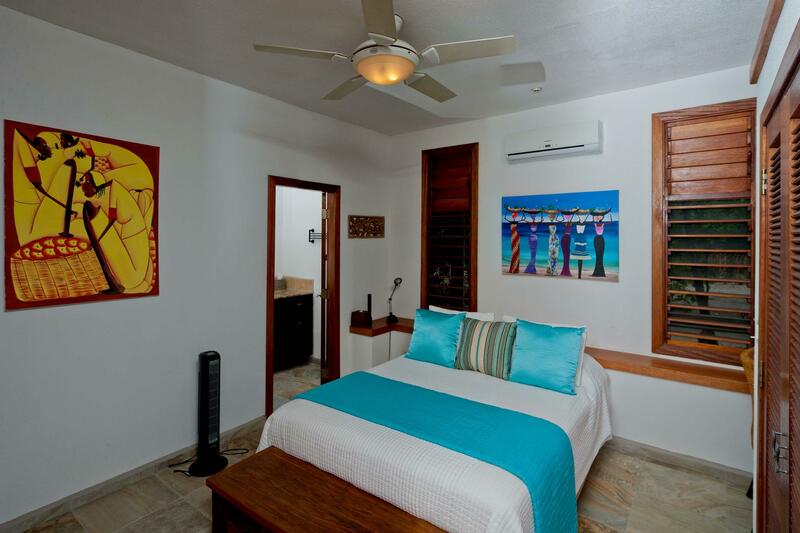 The master bedroom is spacious, has a walk in closet and the bath includes a large walk in shower with skylights. 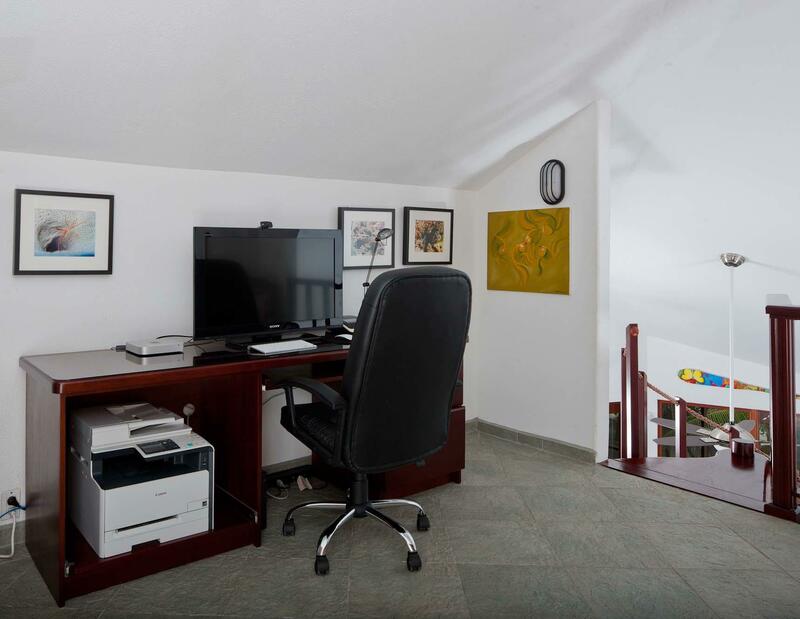 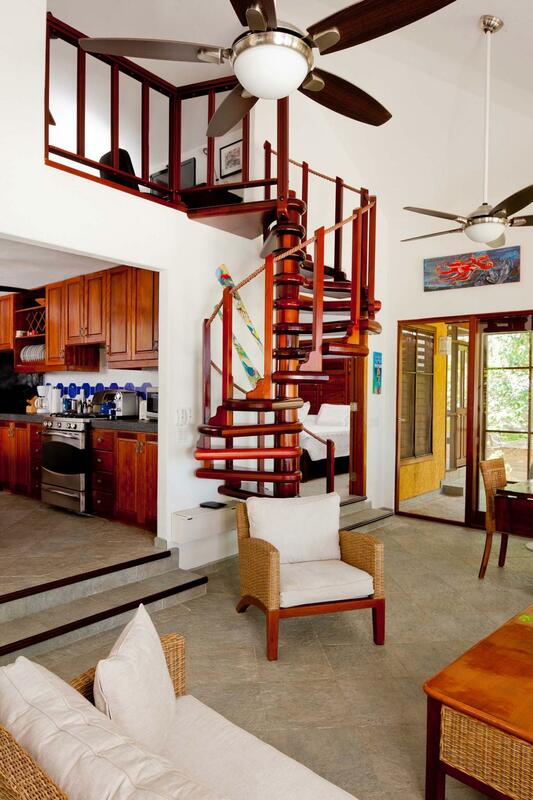 A spiral staircase leads from the living room to the home office in the loft with half bath. 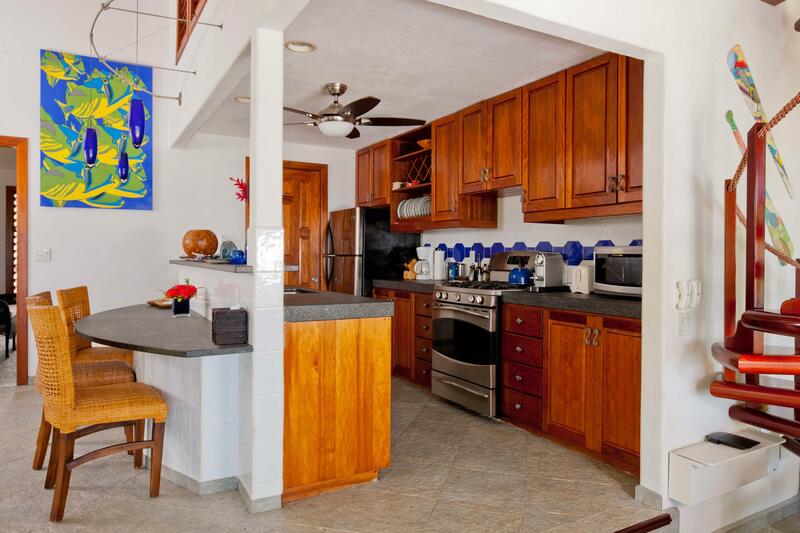 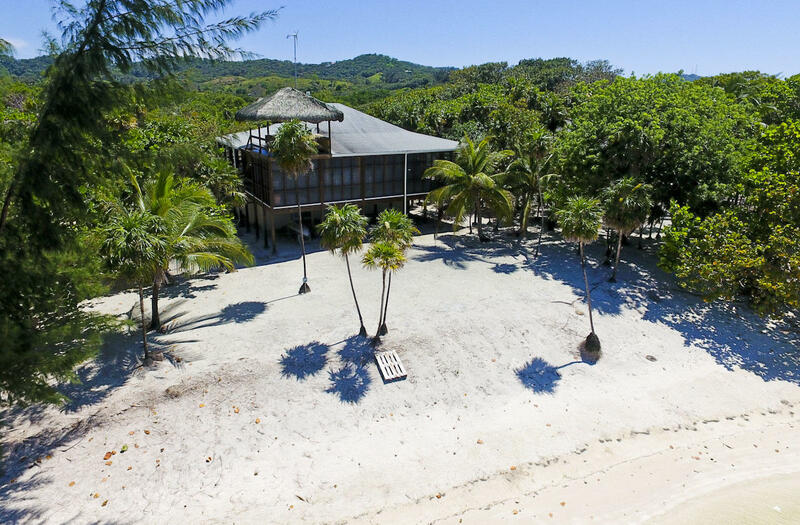 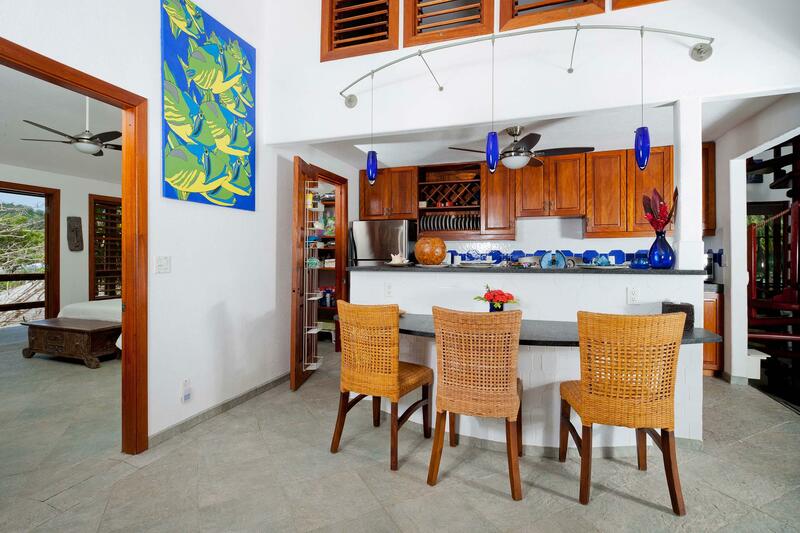 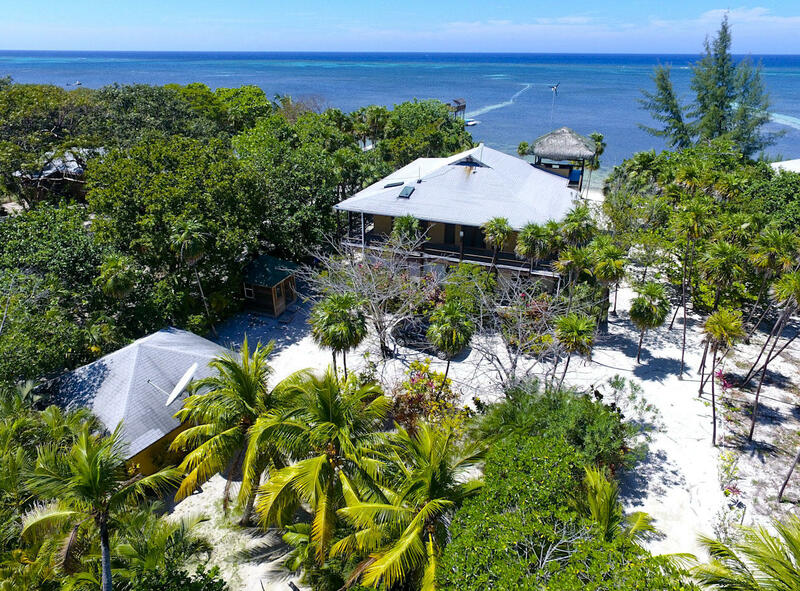 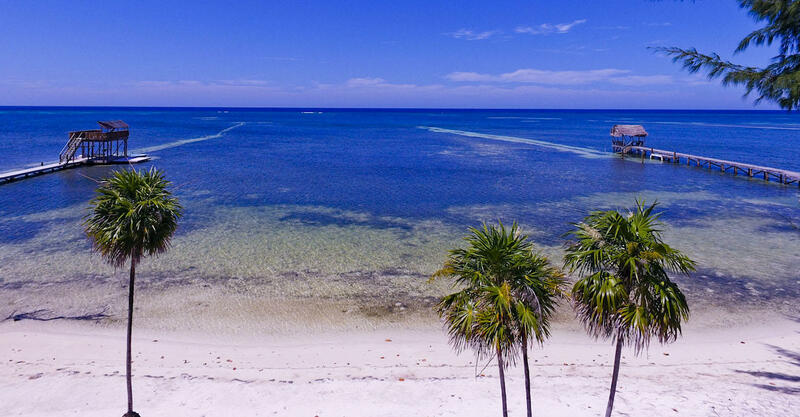 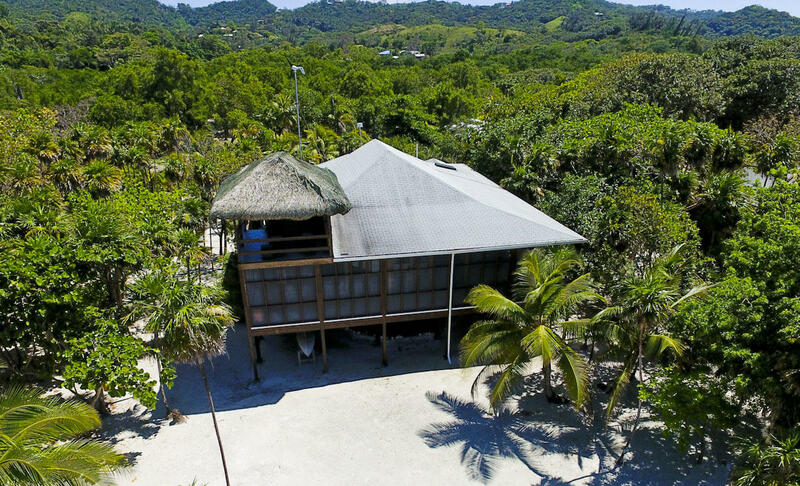 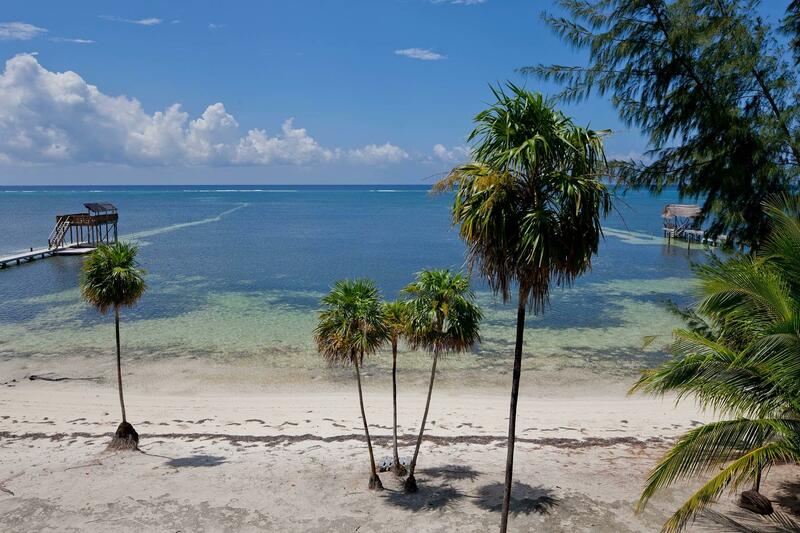 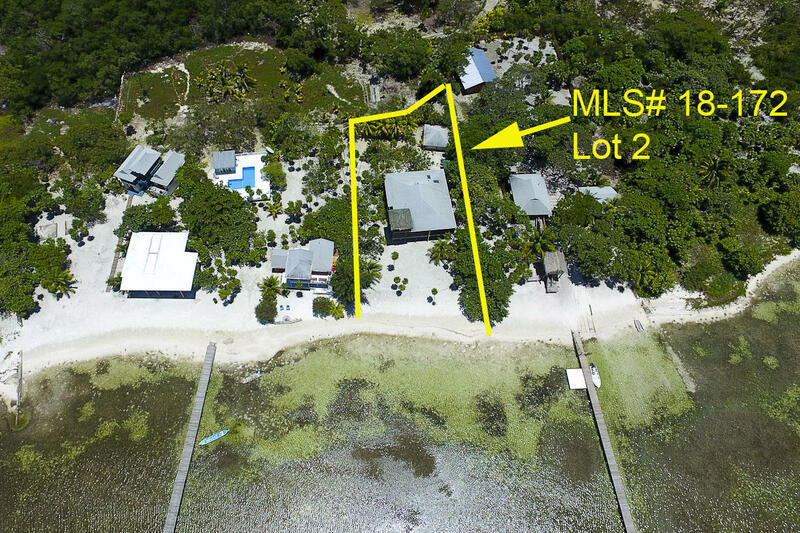 The home has hardwood slatted windows allowing for great airflow from the prevailing trade winds and there is a covered rooftop deck to enjoy sunrises and sunsets.